Peel and roughly chop the apples. Place berries and apple into a saucepan with the first measure of caster sugar a splash of water, lemon juice and zest. Cover and simmer until the apple is soft. Mix in the butter to melt. Remove from the heat and pass through a sieve. Transfer to a heat proof bowl and place over a saucepan of simmering water. When the blackberry mix is hot, slowly pour in the egg mix, whisking until it becomes thick. Remove form the saucepan and set aside. 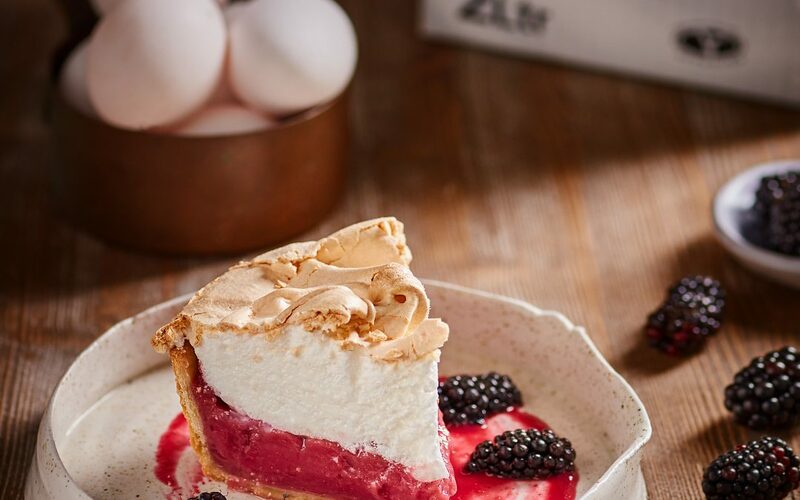 Make the meringue by placing the egg whites into a clean, grease free bowl and whisking to stiff peaks with the salt. Gradually add the second measure of caster sugar and keep whipping until glossy. 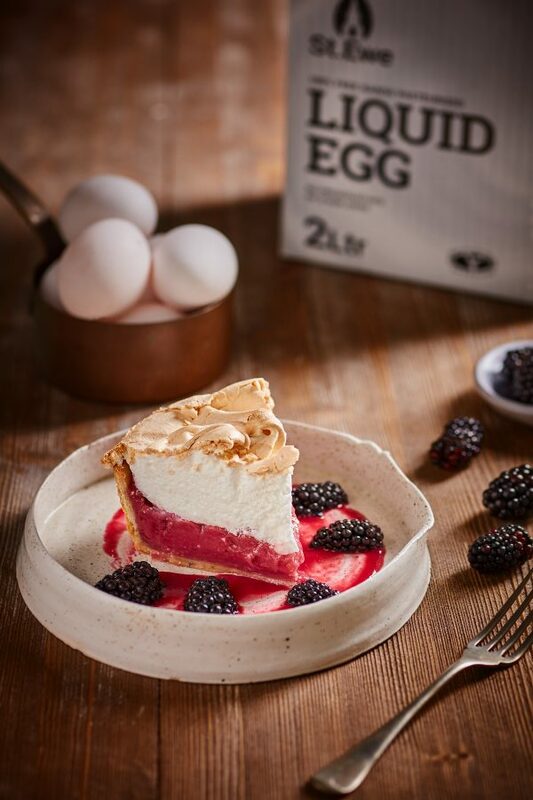 Spoon the blackberry and apple curd mixture into the pre-prepared tart case and smooth over. Pile on the meringue, spreading to cover. Swirl the meringue decoratively as desired. Bake for 20 to 30 minutes or until the meringue is golden and firm to the touch. Remove from the oven and set aside to cool. Best enjoyed on the day it is made.